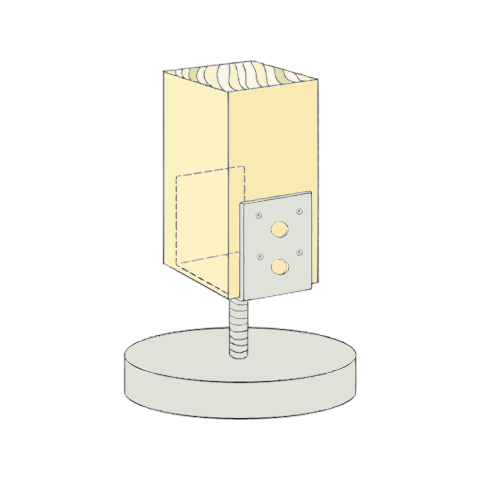 Column shoe used for embedment in concrete for fastening of wooden poles, such as fences and decks. Also available in adjustable versions. Type L is used for fixation of posts in concrete when the post leg are to wide for column shoe type B.